Halla Hrund Logadóttir is the Co-founder and Co-Director of the Arctic Initiative at Harvard Kennedy School and a fellow at the Kennedy School's Environment and Natural Resource Program. 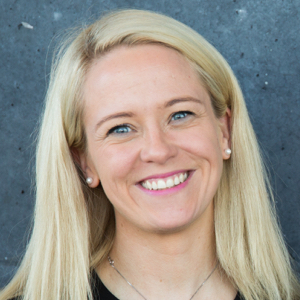 In Iceland, her home country, Ms. Logadóttir serves on the advisory board to the Minister of Industry, Innovation, and Tourism on Iceland’s Energy Fund and collaborates with the country’s leadership on environmental and Arctic issues. She is the Founder of the Arctic Innovation Lab; a platform established to encourage solution-based dialogue on Arctic challenges and an advisor to Arctic Today, a key media on circumpolar issues. Previously, Ms. Logadóttir was the director of the Iceland School of Energy at Reykjavík University where she continues to lecture on Arctic policy. Ms. Logadóttir is a frequent commentator on environment, energy, and innovation within the Arctic. She co-curates the World Economic Forum’s Arctic Transformation Map and was one of the 15 invited writers in United Nations Chronicle’s special edition on sustainable energy published in relation to COP21. She is the co-author of the Harvard Kennedy School case, “Iceland’s Energy Policy: Finding the right path forward”, taught at Harvard and internationally since 2012. Among her other roles include being the Co-founder of Girls4Girls non-profit; a global mentorship program which aims to arm young women with the courage, vision, and skills needed to take on public leadership. Earlier, Ms. Logadóttir worked on an entrepreneurship training program in Togo, West Africa, on the "Aid for Trade Initiative," at the OECD in Paris, and as an EU and bi-lateral relations for Iceland’s Minister for Foreign Affairs in Brussels. Ms. Logadóttir studied political science, economics and trade at the University of Iceland, the London School of Economics, and the Fletcher School of Law and Diplomacy at Tufts University She holds a mid-career MPA degree from the Harvard Kennedy School which she served as a Louis Bacon Environmental Leadership Fellow at the Kennedy School’s Center for Public Leadership.